Ever wonder what in the heck hiring managers do when they look down and take notes while you're in an interview? Sure, some of it might be doodles. But those sheets they're marking hold the key to whether or not you'll be a finalist, or better yet, get the job offer you want. Those are not doodles, they're points the interviewer or team award for each question you answer, and there may also be notes on how thoroughly you responded to each part of the question. The list of questions managers refer to during interviews generally includes a scoring section. Each question has a value, and often the potential score for a question will be weighted based on the importance of the question to the position. For example, you might get only five points for having basic computer skills, but you might garner 30 points for having solid experience in a specific area of the job description. The score breaks down even further within each question. If I ask a prospective employee a 20-point question about her experience in a certain area (pick an area, it doesn't matter) the score might allow five points for basic similar experience, five more for extensive experience, another five if she answered the question specifically and accurately, and another five for giving a specific example of that work. 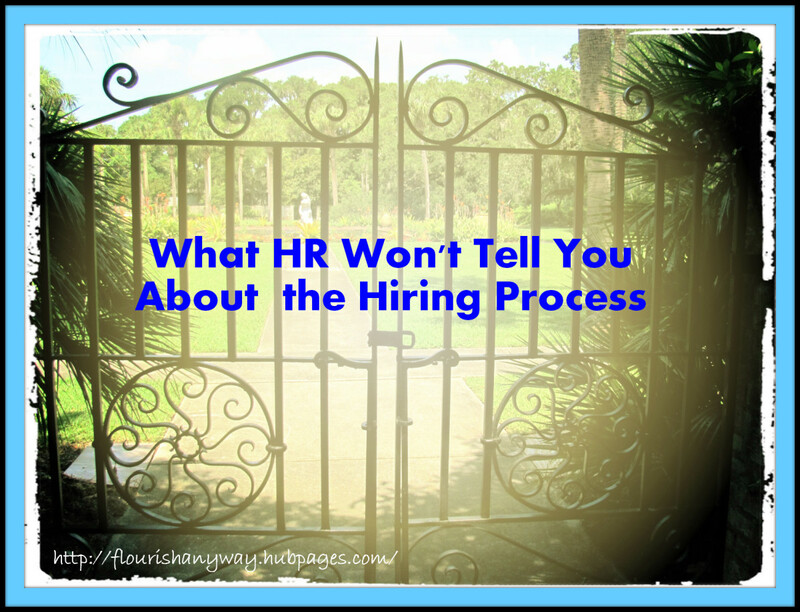 How does the hiring process work? Read on! 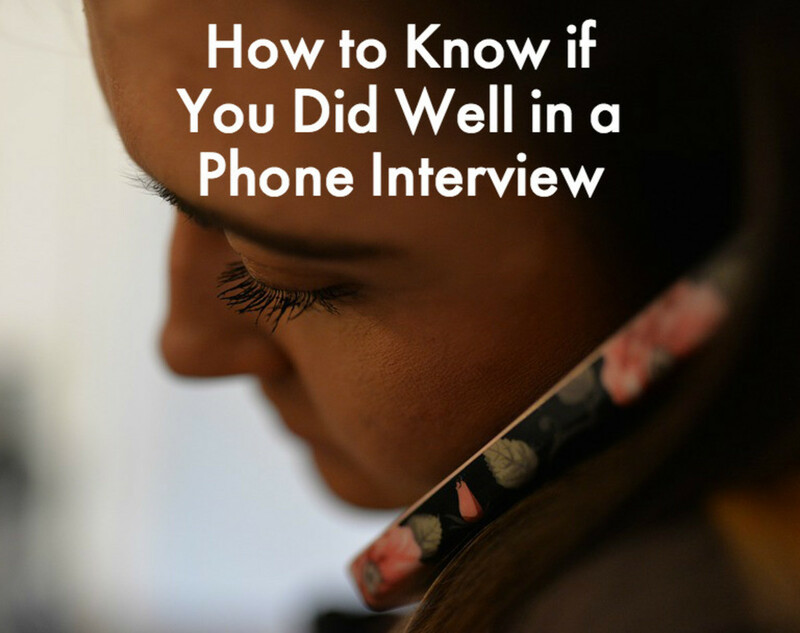 It's helpful to know what happens before you even get to the interview. In today's hyper-competitive workplace, many firms get hundreds of applicants for every posting. At that rate, managers start looking for reasons not to interview an applicant rather than reasons to interview them. Before interviews are scheduled, many companies assign scores to applications during the screening process (more on that in an upcoming post). If you've gotten an interview, congratulations! You're at least halfway there and you have a shot at the job! Managers hate to interview. Hate it, hate it, hate it. Why? It's like one big, long blind date. Sure, just like on a blind date, they secretly hope, "This is the one!" But as with blind dates, many applicants are not 'the one' for the job. In recent years, a big reason managers hate to interview is that with group interviews or panel interviews (when more than one person conducts the interview), it's extremely hard to get the same two, three, four or more people together for a series of candidates. The scheduling process alone is a nightmare. Do you feel comfortable in job interviews? Yes, I check things out and go in prepared. Sometimes, but they do make me nervous! I dont feel one way or the other; I just want a job! No, I hate to interview! Be sure to address the question in your answer. Seriously, many applicants just plain don't listen to the question, or they're busy trying to weave in details that aren't related to what they were asked. There's a reason behind each question, and part of the score includes points for actually responding to what you were asked. Listen carefully to the question, ask the interviewer to repeat it if you're uncertain, and then give an answer that reflects the question. If you don't have exactly the same type of experience the question refers to, use a segue phrase and give an example that closely relates to the skills underlying the intent of the question. Suppose you interview for a sales position in a high-tech firm, but your sales background is in machinery. The interviewer already knows this, but has to stick to a preset list of questions. When a question goes outside of your experience in some way, bring it back into your experience through examples of similar skills. For instance, you may be asked how you satisfied a customer with some specific technical requirements (for that high-tech sales job, which you know you can do, even though your background is in heavy equipment). Your answer could be, "I know how important it is for your sales representatives to understand and address specific technical requirements of your customers. I've worked with many corporate clients who had very detailed requirements for the equipment we sold, and I was always able to identify and meet their needs." Then give a specific example about how you did this. Through this answer, you've shown the interviewer that you understand the question, you recognize the importance of it, and you have the talent to translate your background into the setting for the position at hand. Always give specific examples about what you've done. This tip alone can mean the difference between a mediocre interview score and landing a spot on the 'top three candidate' list. Managers (good ones, with solid training, that is) are actually schooled to ask questions that elicit examples of how candidates have performed jobs. Sometimes managers will try to cue you that they need a real example, not a hypothetical idea of what you would do in a certain circumstance. If you hear questions such as "Tell about a time that you . . . " or "Give an example of a workplace situation where you did so & so," it's your signal to tell about a real situation in your career that answers the question. If the hiring manager repeats the same question, that means you didn't answer some element of the question, or you failed to give a real example. It's actually a good sign when you're asked a question again - it may mean the hiring team has clicked with you and they want to give you a good chance at the job. Otherwise, believe me, they will simply smile and go on to the next question, and you'll never know you didn't make the mark. "What's your worst fault?" or similar questions are huge traps for the unsuspecting. The nature of the question can be varied, so plan ahead to have a few answers in mind. You might be asked questions such as, "What did you least like about your previous job?" or "Tell about a time you didn't succeed at something." Answer the question (don't try to divert), but try to turn the answer into a success story. If you learned something the hard way, use that challenge to your advantage and you may earn points for candor and for showing how you've grown. You'll be rated on your visual cues as well as the content of your answers, and you'll also be rated up or down for your verbal style. Pay attention to these things! Do it again - it looks good on you! Look in their eyes and, whenever possible, smile with confidence. Candidates don't realize that in the aftermath of an interview, the team will comment to each other about things not discussed through the questions. You want them to say, "I really liked her smile - she was friendly and confident," rather than, "He wouldn't even look at us when we asked the questions!" Don't fidget or distract the interviewers! And don't scratch, slouch or otherwise look unprofessional. I interviewed one candidate who leaned back in the swivel chair we provided and swung back and forth during the entire interview, repeatedly clicking a ballpoint pen the whole time. His actions were distracting and annoying and his scores reflected it. Bottom line, don't distract from YOU! What other kinds of things distract people? Perfume or heavy aftershave is a big one; you're not on a date, and heavy fragrances not only distract from messages about your job skills, they send a social message rather than information about you as a prospective employee. Don't wear jewelry that distracts from your presences (such as clattering bracelets or dangly earrings). Pare down what you take into the interview - a briefcase or simple bag is fine, but have anything you plan to use during the interview (a tablet, pen, etc.) tucked into the front pocket or in a place where you can easily locate it. Too many people enter an interview room and shuffle around unpacking their gear. But be on point. Don't give long answers when concise answers will do. Overly long answers work to your disadvantage and cause interviewers to tune out, which means they will not remember well enough to score you accurately. Remember, managers hate to interview. Don't be one of the reasons they feel that way! What do managers say when you leave a job interview? Do managers talk about you when you leave? You'd better believe they do! Many job applicants don't realize what managers say about them after the job interview. There's a point at which the hiring team relies on human reactions to an applicant rather than impersonal scores. Read the above link about what managers say to get the full picture. What happens after they interview you? Managers tally their scores individually and then compare their scores and discuss the applicants with each other. Sometimes scores are tweaked a bit at that stage if one of the interviewers interpreted a question differently than it was intended. Usually, the scores of one or two people will stand out among the others. This is a hugely helpful tool for managers who need to narrow the search to one or two final candidates. You want to be in that small group, so study the tips above, practice your interview technique and increase your score! Finally, the finishing touches below will put you in the top tier of candidates. Research the organization or corporation and phrase your answers in the context of the firm. Look for news articles or reports about what the company has done, where it's headed and any challenges it faces. Weave that knowledge into your answers and tie in any experience that relates to what they've got in the hopper. The hiring team will be impressed that you took the time to come prepared. You can also run the traps through your professional network. Search the name of the company on LinkedIn (you are on that site, aren't you?) and see who you might know with contacts there. Call and ask what the company is looking for; not all the information will be in the job posting. 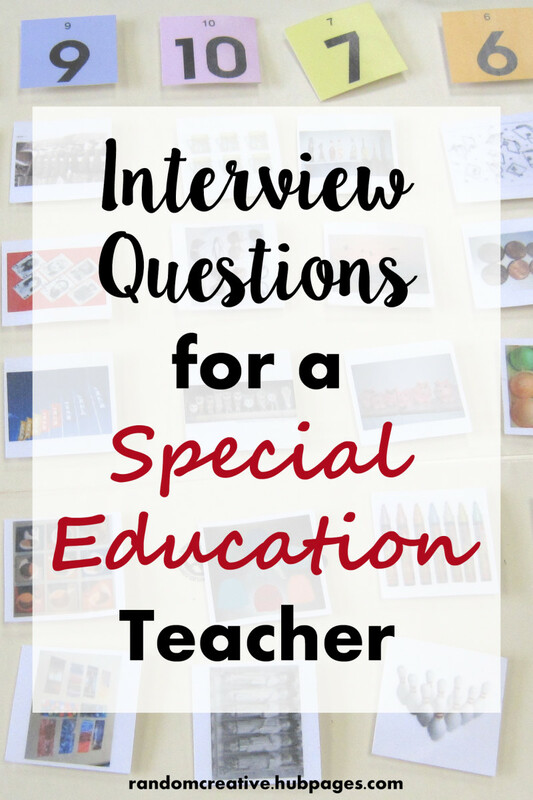 At the end of the interview, you'll probably be asked if you have questions (if not, simply mention you have a few questions). Show them you're interested in their firm and you want to know more about it. Mention what you learned about the firm before you interviewed. Ask about the culture of the company. Do not mention salary! Glad you found it helpful, PeachPurple - and best of luck to your daughter. I've interviewed literally hundreds of candidates for every level of position (entry-level to executive) and these tips are a compilation. I also have a hub on dealing with Panel Interviews and a few others related to careers. Thanks for reading & commenting here! Hi, Cathie! So glad you found some tips you can use here - best of luck on your next interview! Hi, Teaches! 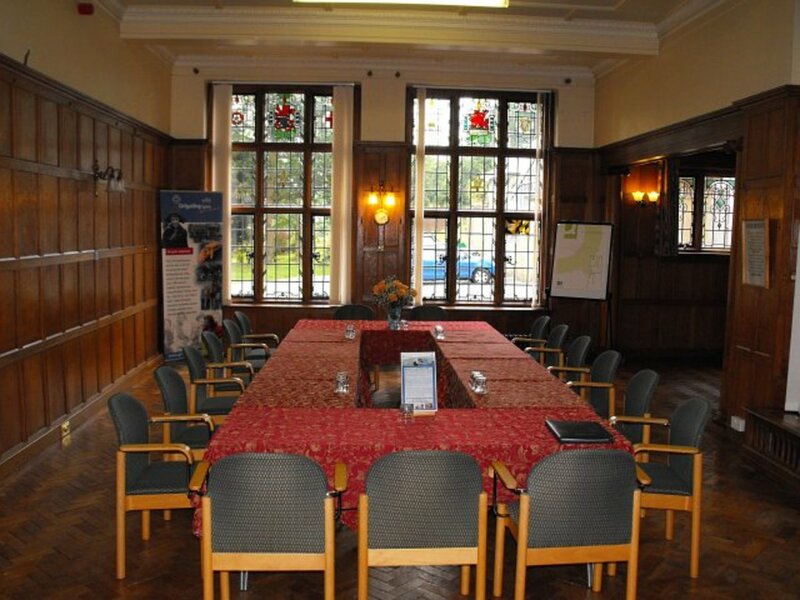 Thanks for your great feedback - I can tell you have been on the Interviewer side of the table! Your advice is solid and will certainly allow interviewees to do their best. I find that many people forget to ask good questions which makes them seem very alert and interested in the company and position. Your tip on listening is another key point and you made it very clear on how important it is to use this skill. Voted way up! Hi, Angel - so glad you found ideas to help you gear up for your next interview! I'll keep my fingers crossed for you - let us know how it goes! Great info and I'm glad you shared it. I know there were a few things in your list I had not thought of. It will help me be more prepared for my next interview! Oh, gosh - I can picture that interview nisargmehta! I've heard some hilarious stories about interview experiences (usually from the staff perspective). Candidates don't realize they can be talking to a group of people who have functioned as a team for years, and have developed their own culture (which can include a lot of humor). A friend of mine worked in an office where candidates were interviewed in a room with a glass window facing the hallway. The candidate would sit facing away from the window (understandably), and the interviewing manager faced the window, trying to keep a straight face while staff members flashed score cards at him through the glass, ranking the candidates the way Olympic skaters are scored. They would hold up cards with numbers like 7.3, or 8.9, etc. Very true and to the point tips. I am not Certified HR however I have taken interviews of some candidates for a company. Talking about interviewing, I had a similar candidate as the one you talked about in 7th Point. He was rocking the chair constantly and making very annoying humming sounds whenever we shot any question at him. It was 7.30 pm and we had interviewed almost about 40-45 guys since morning and it was getting tiresome. As a result we started to have fun just by asking questions, more of rhetorical to most of which the candidate replied. We were feeling bad at that time but attitude and nervousness together had irritated us a lot to start such an act. You are very right about that, FS - smart candidates make the interview a two-way experience. Marcy: Looking for a job is a full time job and possibly the most impacting decision a person makes..too many times people take a position and find a huge culture clash for themselves... an interviewer is also the interviewee to be sure the fit is best for the candidate and the company.. Excellent advice, FSlovenec - every minute spent researching a firm and the people you'll see in an interview helps improve your positioning with the company. Thanks for commenting! That's a great point, DeviousOne - candidates need to realize the interviewers are people, too! Great hub. May I add the following: to be relaxed and ensure it's not a tense environment. Interviews don't need to be full of pressure and suspense. Ouch! I so know those 'after-the-fact' forehead slams when we reconsider what we blurted out at an interview! I have tried to learn from them and move on, but I still relive a few of those stellar moments. 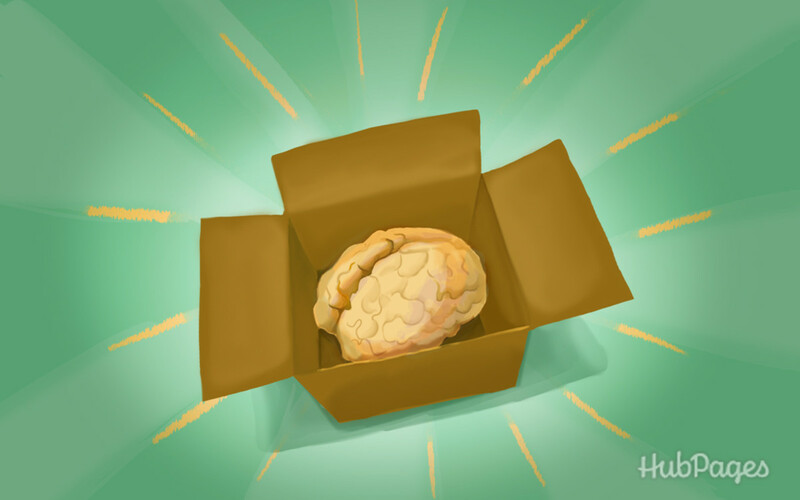 Even when you try to anticipate questions, you can get trapped with those spontaneous answers. Thanks for your comment, Nettlemere; you made me feel like I'm in good company! Looks like I came very late to this party! But very sound advice. The trap I tend to fall into is suddenly being is suddenly being over honest when it's not appropriate. One interview was asked something like "Do you enjoy change" and launched into saying how I couldn't be doing with folk making random changes unnecessarily. Should have gone with 'I've recently moved up to this county, so I've been enjoying the changes between where I used to live and here.' I didn't get that job because of the answer to that one question. Thanks, Summerberrie - so glad you like these suggestions! It's amazing how the same issues can surface, interview after interview! Have not done a job interview in awhile, but my son has. He was warned about those trick questions! Great hub loaded with tones of advice. Voted up and useful. Hi, FullOfLove - it's so great to know you found the hub helpful - thanks for letting us know, and best of luck in your job search! Hi, PrairiePrincess - thanks for the comments and the link! I will check out your hub, too. I am not sure if you saw the companion hub on what interviewers say behind your back? It's also based on years of experience. So glad you like the hub! Marcy, this is excellent advice. That was interesting that you said that interviewers were looking for a reason to disqualify you. It's neat that you let us know what goes on in the minds on the other side of the desk, helping to make us more empathetic to them, instead of focusing exclusively on ourselves. I am going to include a link to this in my latest hub on job interviews, too, because it is very useful. Have a great day! Thanks for your great Tips. Hope to get an interview soon at one place or another - my problem is I get so very nervous even if I have prepared. Useful and Interesting. Good Hub. Some nice points that will really helps a job seeker to crack an interview. When i was reading the article, I recalled few interviews where I have definitely fallen short on points 2 and 10. Hi, Dpsimswm - Thanks for the nice words - I won't try to estimate how well I interview as a candidate (although I've had successes), but I do feel I've learned a lot as a hiring manager over the years, and as a trainer. I'm saddened when I remember candidates who seemed promising but, despite repeating questions and trying hard to give them a second chance, they didn't realize we needed concrete examples of their actual experience doing the various things we asked about during the interview. Great hub. In a tough job market like this one, you must interview well. Nice work very helpful to us job seekers! Hi, Amy - good luck on your interview! I hope these ideas help, and I will be pulling for you! Be sure to read the hub on panel interviews - those are a bit unique. Let us know how it goes! Very informative. I have the biggest interview of my life coming up in a couple of days. I always think I do well in interviews but I rarely get a call back. I'll be taking this hub to heart. Hi, Bowlerhat! I agree - that's such a key question in an interview! It sounds like you have a background in management - thanks for sharing your tips here! Awesome hub. #4 is so important and people miss this every time. They think they can use vague language that describes their qualities without giving real world examples of how they will fit into the role. "During my time with......I over-achieved on my targets by...." etc. If the employer can imagine us in the role then we're halfway there. Thanks again for a great hub. Hi, Pandula - I agree; so many candidates act stumped when the interview panel asks if they have any questions. It's smart to go in with a short list of prepared questions and to research the firn so you can ask about issues or programs related to the company. One thing many don't do in their interviews is to ask smart questions. Thanks for sharing the tips. Hi, Eric - so glad you liked the hub; many thanks for reading and voting! Nothing else to do except vote up! Really great hub! Hi, Gmwilliams - it sounds like you've had some experience with interviewing people; you are so right about how a lack of knowledge about a company can reflect negatively on an applicant. With the wealth of information we have on the Internet, there are few excuses for not being prepared on that topic! To Marcy: This is so on target however many people do not follow these principles, especially the one regarding being knowledgeable about the company you intend to work for. That is extremely important. If an interviewee knows about the company, it indicates that she is interested and knowledgeable. Conversely, it reflects quite negatively upon the interviewee if he/she knows little to nothing about the company. Excellent piece as usual, Marcy, voted up! Hi, Phdast - I appreciate your comments here! I feel the same way about retirement (our collective dream), but you're right about the need to be prepared! Thank you for stopping by, reading, and sharing your thoughts! Excellent Hub. Very helpful. Although, I think I am in my retirement job and not planning to interview again...still if I were I would study and learn from your Hub. Thanks so much, Onlinereputations - I like the career you have now, but I hope you can use these tips if you end up interviewing again someday. Thanks for stopping by! Hi, Brandy! I hope you're able to put these ideas to use the next time you interview for a position. Many thanks for reading and commenting! Voted you up and A for Awesome! I am retired now. Where were you 20 years ago. Great Hub. Thnks. Wonderful Hub! Could of used this information weeks ago to my advantage. However, thank you for all the information. Thanks for the feedback, TotalHealth - hope the tips are helpful the next time you are interviewing! Thanks for the information. I found tips #5, 8 and 9 most useful. Thumbs up! Many thanks for reading and commenting, Lioneeladams! So glad you found it useful. Hi, Andrewcrter - I appreciate your kind thoughts! Thanks for stopping by and commenting! I'm so glad you like the hub, am301986 - I hope the tips are helpful for you, and I appreciate your comments! I will be thinking of you, anusujith - you can do it! Best of luck on the interview. Remember, solid examples of what you've done really help get their attention! Brilliant hub Marcy.I think I am too late to read this hub. I am tensed before attending an interview. Great tips! 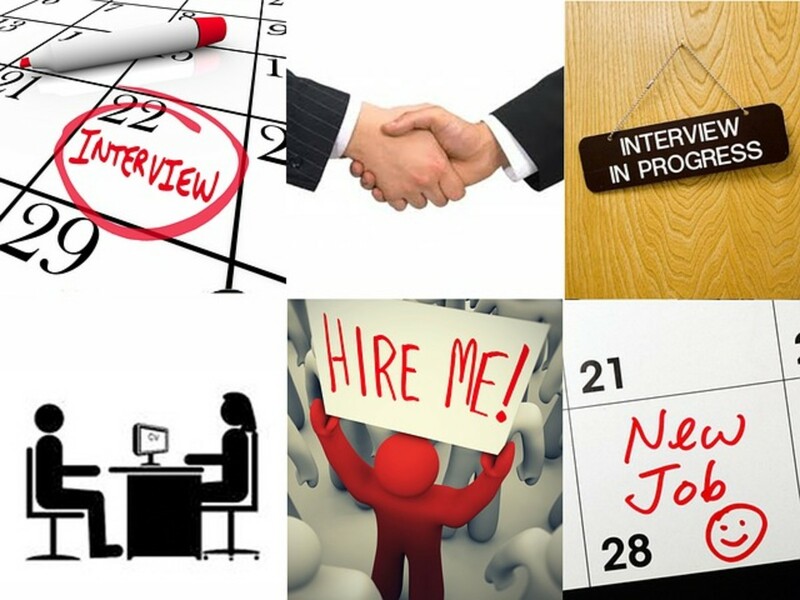 These tips will surely help a lot of people who are preparing for a job interview. Thank you for sharing helpful article. Great hub! The information you posted here are really useful! Thank you! Good and simple step to get success in interview. Thanks for sharing. cheers! Nice, succinct, useful tips, Marcy - you're hired! Seriously, nicely done. @Amy Gillie: Thanks so much for your experienced feedback! I think it's helpful for people to see both sides of the interview process. @jasmith1: I'm so glad you like the hub, and I hope you can just relax and be yourself the next time you interview! That's always the winning way to go! @Grace: Hi, Grace - thank you so much for your kind words! I do have several other hubs on interviewing and employment tips; I hope those have been helpful as well. @Penflame: I'm so glad this hub is timely for you! I will keep my fingers crossed that you find the job you want! Thanks for reading and commenting. Hi, taw2012 - I will indeed check out your hub! There's no end to the tips and guidelines people can use when looking for work; I'm so glad to know there's plenty of information on this site! Thanks so much for reading and commenting. Wow, these tips are really helpful and useful. I hope that you can post some more hubs. Keep up your good work. Thanks for some great tips Marcy. I think it is easy to forget that interviews are hard for the interviewers too - realising that helped me feel more comfortable in interviews. LOVE this hub! I was a recruiter for a Zoo for a few years, and I can say that you are spot on with all of these. Great job! Nice hub Marcy. I too have written a hub on the same topic. Check it out if you are interested. Let us know how it goes, oceansider! Thanks so much for your encouragement Marcy! Hi, Helen - I'm sorry you're going through the stress of job hunting; it is a tiring and scary process. Try to devote time each day to your search, and start calling your network of friends and colleagues to let them know you're open to opportunities. Even if they're not in your career field, they may know someone who is. I've written several hubs about interviewing, networking and other skills for job hunting. Maybe you can find tips in those, too. Thanks so much for reading and commenting, and good luck! I appreciate your article very much because I am unemployed right now and trying to find another job. Last Friday I had an interview with a very nice lady who tried hard to make me feel comfortable. I finally did, but I was nervous at first and I thought to myself, I wonder if it shows that I'm nervous. She told me she was interviewing a lot of people and would only call me if she decides to hire me, so not to worry if I don't get a call. I have had only about four interviews since last August, when I began seeking another job. I was fired from my job while out on a State Disability leave for my knee injury, and so after my release from the disability, I opened an unemployment claim, and am now at the last week of the first extension. Your tips and examples of questions are very helpful, thanks so much. I have voted this up! Hi, David - thanks for your comments - and best of luck on your interviews! Be sure to have some good examples of what you've done to inject in your answers! Hi, John - thanks for making the point about brief resumes, and for having concise statements on them. Applicants have just a few seconds to grab a manager's attention with a resume, so the top real estate on the page is valuable. Many thanks for reading and commenting! Great hub Marcy. Additionally (even though this falls under pre-interview), write as short a resume as possible. In today's world of texting and short sentences, the last thing any manager wants to do is review a 3-4 page resume. I fixed my friends' resume to 1 page and he got a few job offers right away - he had a 3 page resume with long paragraphs, etc. Hi, Leros - yes, interviewing is exhausting in every way. It can also be a strengthening experience through helping you see where to improve or market yourself with a bit more aggressiveness, and it can build self esteem. Every job interview is a sign you are qualified and competitive. Thanks so much for reading and commenting! The best thing I ever did - even though I loved my job! Job interviewing is very taxing. I did that for about seven months straight right after college. Very obnoxious but if you have these great tips you'll definitely succeed! Hi, Ian - thanks for reading and commenting, and for sharing your insight; those are good points! And congratulations on your retirement - doesn't it feel great?!! I agree with all of your tips, Marcy! Having interviewed many people in the past, it is most important that the candidate also comes over as a human being with a good (not over the top) sense of humour, dedication and empathy to others - and, of course, enthusiasm. Not that I'm involved any more! I retired last summer!! Thank you, Jobs Etc - I can tell by your username that you must have a career related to employment. I'm so glad you found the hub helpful, and I appreciate your comments. Good information and advise, I enjoyed reading your article. Thanks, Lisa - I appreciate your comments! I hope they're helpful if you are headed to an interview sometime soon. Marcy, Thanks for the great article. It was so well written and thought provoking. Hi, birdslover - thanks for your comment; I'm so glad you found the hub hrlpful. Hi, Madmachio - I'm so glad you found the hub helpful! Hope you ace those interviews - I will have my fingers crossed for you! Fantastic Stuff, Discovered new things which I never bothered during interview. Thanks!! Hi, Cookies! I'm so glad the hub is timely information for you! Best of luck on your job search - I will be thinking of you. Thanks for reading and commenting! Voted up and with a lot of thanks! I've been working for myself for a while, and I need to brush up on my interviewing skills soooo badly! I'll practice interviewing with your suggestions in mind. Thanks again! What great news, atiagr! I'm so happy this was helpful for him! Thanks for sharing the good news, and thank you for passing the hub along to your friend. Thanks, Shama! I hope you ace your next interview! Thank you, MPG - I have seen the type of interviewee you mention. They don't realize that their attitude of 'What's in it for me?' is very transparent and a major turn-off. Thanks for reading and commenting! These tips are excellent, especially the one about "don't discuss salary" and "Pay attention". I've employed many people over the years and am surprised how many people bring salary up very soon in an interview. Show an interest in the company first, salary will be discussed and negotiated later. By paying attention to the questions you will show your interest in the company, which certainly helps in getting you the job, or at least, a second interview. Well written and concise hub, deserving of a 99 score, well done Marcy. Thanks, Mikey - I appreciate your comments. It looks like you have good experience in this area! These are essential! I love to try to do these with the clients that I have come across. Having some of those essential little things can make a world of difference depending on how you approach their needs. Thank you - I'm glad you liked the hub! I think these tips work for older generations, too. Especially the points about giving specific examples of related accomplishments. When someone with ten years of career experience interviews, they need to make the panel aware of what they've done. Thanks for commenting! Hi it's really good article for young generation and good information about job interview . Thank you, PegCole - I very much appreciate your reading and commenting! This was truly informative and succinct. Great advice. You've put a lot of essential tips within this hub. Thanks, Nare - I hope these tips come in handy someday! Hi, Wiserworld - I'm glad you like the hub, and I hope your friend gets some benefit from it (you are a good person, to help your friend at such a time). Feel free to link to the hub from your site if you wish! Really useful, teaches a lot. Good job!